The recent rapid spread of Zika virus and its unexpected linkage to birth defects and an autoimmune-neurological syndrome has generated worldwide concern. Zika virus is a flavivirus like dengue, yellow fever and West Nile viruses. We present the 3.8Å resolution structure of mature Zika virus determined by cryo-electron microscopy. 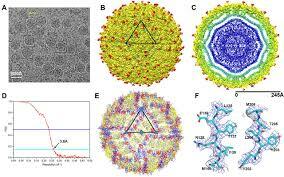 The structure of Zika virus is similar to other known flavivirus structures except for the ~10 amino acids that surround the Asn154 glycosylation site found in each of the 180 envelope glycoproteins that make up the icosahedral shell. The carbohydrate moiety associated with this residue, recognizable in the cryo-EM electron density, may function as an attachment site of the virus to host cells. This region varies not only among Zika virus strains but also in other flaviviruses and suggests that changes in this region influence virus transmission and disease. © Copyright 2016 LabMol. Todos os direitos reservados.